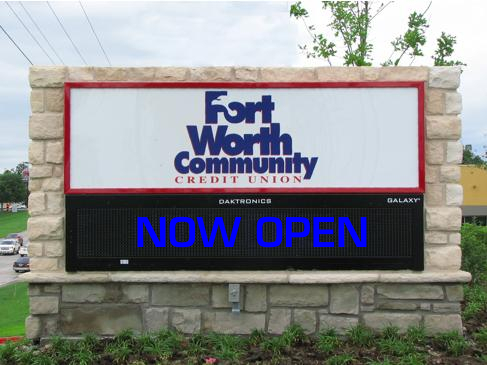 Keeping at the forefront of signage technology in Dallas TX, Hancock Sign Company offers our customers the chance to experience a whole new realm of possibilities for affordable advertising and customer awareness though custom LED signs. From basic time/temperature units to full-color animated centers, we will work hard with you to find the right EMC solution for your business or institution. 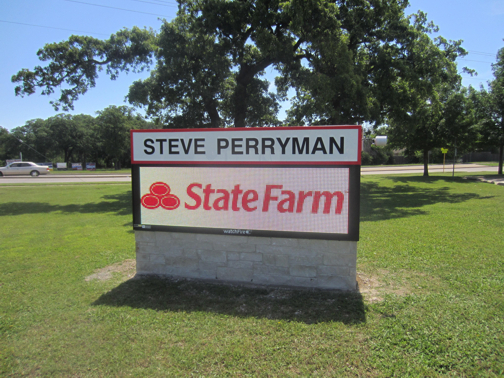 Please take a moment to look at some of the examples of our custom LED signs in the Dallas, TX area, below. 16mm Watchfire full-color EMC on custom stone monument sign base. Full-color Electronic Message Center with wireless communication. 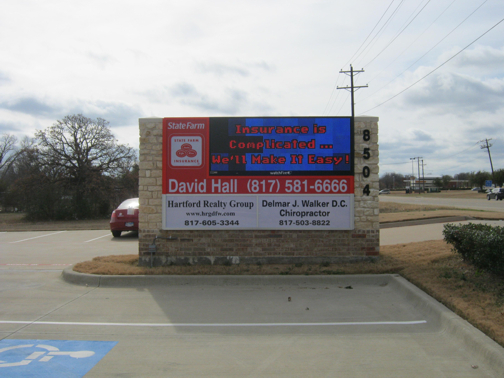 Electroinic Message Center incorporated into multi-tenant sign. Full-color EMC unit installed below illuminated cabinet. Red monochrome message center with brushed aluminum cabinet. Full-color wireless EMC unit below illuminated cabinet. Red monochrome EMC unit in cast stone sign system. Red monochrome EMC unit above custom cabinet. Dual full-color billboard-size wireless EMC units. 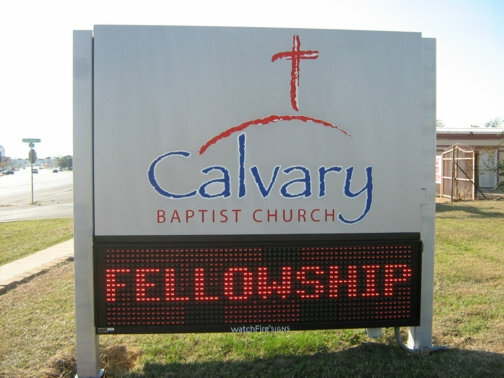 LED signs are known by many different names - electronic message centers, digital displays, reader boards or electronic signs, just to name a few. It is our mission to help you feel confident and educated before you buy. 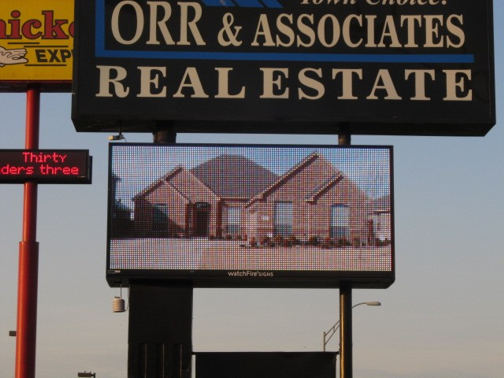 Other LED sign companies may try to confuse you with meaningless specifications and complicated jargon. Not us. 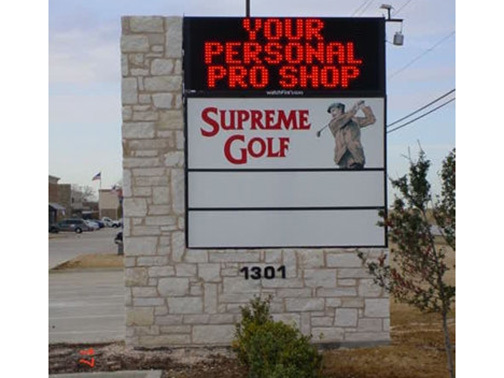 Hancock Sign Company prefers to provide you with the knowledge you need to choose the right custom LED sign for your project. We want you to feel comfortable talking about our product with your business partners or board of directors. 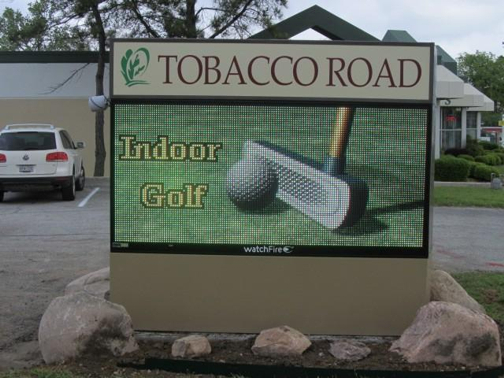 Because we want to provide you with the finest LED message sign possible, we have teamed with Watchfire Signs. Watchfire, a U.S. manufacturer, is at the forefront of LED technology, offering an amazing array of EMC units, service beyond compare and a software that makes control of your sign a breeze. LED (Light Emitting Diode): An LED is an efficient, effective and ultra bright alternative to incandescent light bulbs. Unlike traditional light bulbs, LEDs do not burn out because there is no filament. Watchfire uses only single-bin LEDs that are grouped by color value and brightness to ensure uniformity throughout the sign. We also calibrate our LEDS for color and brightness to ensure consistent image quality from end to end and long-lasting, vibrant color. Pixel Pitch: You?ll often hear LED signs referred to by their pixel pitch (e.g. 10mm, 19mm, 35mm). The pixel pitch is effectively the resolution of the sign. The resolution of a sign is dependent upon the distance between each pixel, which is typically comprised of a luster of three LEDs ? one red, one green and one blue. The distance is measured in millimeters and the smaller the pitch, the closer together the LEDs are placed, giving you a tighter resolution with crisper and more life-like images. Matrix: LED signs are often talked about in terms of sign ?matrix?. This is simply the number of pixels high by the number of pixels wide your sign will be. Two signs that have the same outside dimensions but are not the same pitch will each have a different matrix. For instance, a 12mm sign that is 4?5? by 8?3? has a matrix of 96 x 192 while a 16mm of the same size has a matrix of 72 x 144. Viewing Distance: Optimal viewing distance is the point at which the individual pixels begin to blend together to form a smooth, consistent image. Generally speaking, signs with a short distance between each pixel, such as our 10mm or 12mm models, are best for close viewing distances. 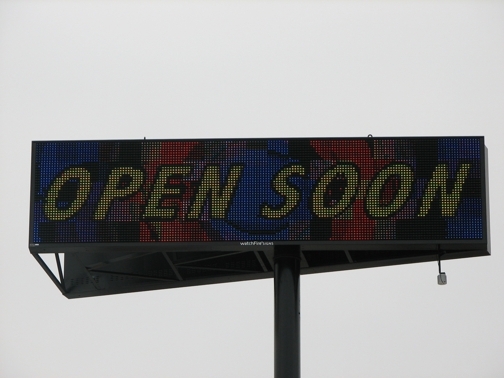 Wider pixel spacing, found on our 25mm or 35mm models, are better for locations where the sign will be installed at a great height or are farther away from traffic. 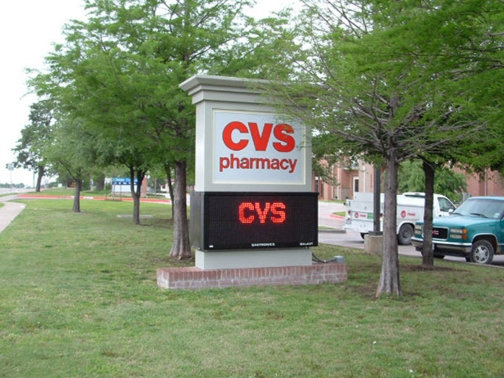 LED message signs are not for everyone but they are a fine example of modern signage that gives you more bang for the buck.